What does the latest Thomas Cook Holiday Guide mean for marketeers? Thomas Cook has released its (second ever) holiday report just in time for the fast-approaching school summer holidays and peak travel period. Covering everything from top destinations, booking trends, research phase and holiday expenditure, we’ve read it front to back so that we’re armed with the most up-to-date information we need for our travel campaigns. So, now we’ve done the hard work (helped a lot by Thomas Cook) here are the key insights that us marketing folk can take away from the ‘Holiday Report 2018’. January is still the biggest month for holiday bookings but it’s not just because of the post-Christmas winter blues. January is believed to be remaining popular because of the introduction of ‘book now, pay later’ and zero deposit deals, allowing families to book in January then make affordable monthly payments. Plan your campaigns accordingly so you make a bang at this busy time, but don’t forget about those last-minute travellers who are looking at holidays right now. Year-on-year the five most popular destinations change very little. Spain, Greece, Turkey and the USA remain the top four, whilst the Caribbean has replaced Cyprus at fifth spot. Hot on their heels though is Croatia which has been a rising star over the last few years. Flight sales to the Adriatic coast are up more than 500% annually and there has been an impressive approach to the promotion of Croatia as a go-to holiday destination. Its beautiful scenic islands are used to attract families and those looking for a relaxing sun-kissed break, whilst it also receives a raft of press coverage for its various music festivals, some of which are becoming world famous. These combined have meant Croatia has been strategically placed in front of the masses, but in such a way that many of us have stopped and taken notice of the beautiful country. Unsurprisingly, one trend which shows no sign of slowing down is the use of mobile for ‘looking and booking’ holidays. Thomas Cook has revealed that just on its website alone, mobile searches have increased by 27% (YOY) and mobile bookings have grown by nearly a quarter (24%), with one in five Thomas Cook bookings now being made on a mobile. So, as we’re seeing in many industries, an online presence for travel clients is crucial. We know this is where people are researching where to go and looking for the best deals, so our clients need to be visible in Google searches. One of the most interesting points we have taken from the holiday report is that nearly one in three travellers (30%) believe the hotel is more important than the destination. The operator describes in its report how our growing obsession with interiors at home is expanding to our holiday choices too. A staggering 91% say décor influences the hotel they choose and 43% believe hotel décor is more important than it was five years ago. No longer do family and friends ask, ‘Where are you going?’ but instead ‘Where are you staying?’. Working on a hotel client? The devil is in the detail. Show your audience the finest points of the hotel’s interior as we’re clearly a nation of design lovers who want to know the thought that goes into decor. In fact, one in five of us will admit to taking note of even the little fixtures and fittings. Today, more than half of 18 to 24 year olds use social media as a research tool before booking a trip – shock statistic? Not really. There is, however, an older generation too that want to travel to the most photogenic of places. 15% of 55+ year olds admit to considering what social media posts they would be able to share to make their friends jealous. So, what better inspiration is there than the swooned after travel bloggers’ content? Social media and travel influencers can also help with point four - fulfilling our interior design desire. We don’t want to just read about a stunning beach backdrop or a deluxe hotel suite, we want to see it at its best and follow in the footsteps of those who have already been lucky enough to experience it. Families prioritise holidays when spending. Half of mums and dads say that a family trip will take precedence when deciding what luxuries to splash out on. So, whether you’re working with a tourism board, a hotel operator or a holiday excursion provider, appeal to parents and their desire to spend more time with their family. According to Thomas Cook, in a working week, the average estimated time parents spend reading with their kids is 34 minutes, compared to two hours and seven minutes on holiday. Similarly, time spent playing at home is just 44 minutes a week compared to dedicating seven hours and 13 minutes to family fun time on holiday. Travel campaigns need to be integrated and targeted without losing creativity in the process. Holidaymakers crave a balance of aspirational and affordable, and wherever they end up, they want to be able to visually flaunt it on social media. We’re a nation who look (and book) online, so are best targeted by a digital, mobile-friendly campaign. If we are to visit a bricks and mortar travel agents, we still want that to be an interactive, innovative experience, using technology such as VR, so we can experience a destination before we even reach it. With insight like this report direct from the industry operators, us marketeers have heaps of research at our fingertips that we can use to intelligently inform our campaigns, so be sure to use it. We’ll certainly be bearing all these points in mind in our next campaign. You can read the full Thomas Cook Holiday Report here. 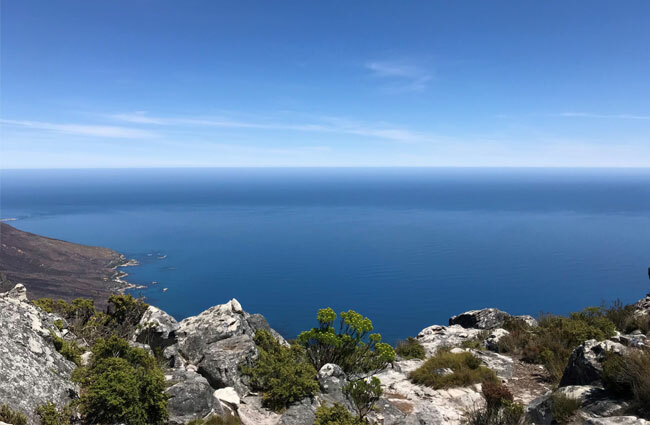 Finally, all this travel talk has triggered a lot of holiday reminiscing here at BBI HQ so, while you’ve been getting up to speed with the latest insights, we’ve compiled some of the team’s favourite holiday snaps for you to enjoy. If you want to meet the people behind the pictures, feel free to get in touch.